Come explore on our Oregon Coast Tours! Customized to your private group’s desires, you’ll spend the day venturing through the unique natural offerings of the Oregon Coast. Surfing enthusiasts? Excellent, you’ll suit up and catch some waves. Not your thing? Enjoy the astonishing views in the home of Oregon’s third most photographed scenery. The tiny Oregon Coast towns of Manzanita, Cannon Beach, and Nehalam are filled with local eateries for a lazy, picturesque lunch. Shop around these seaside villages and enjoy their quirky galleries. Sea to Summit guides customize this wonderful Oregon Coast tour to your group’s interest and individuality. 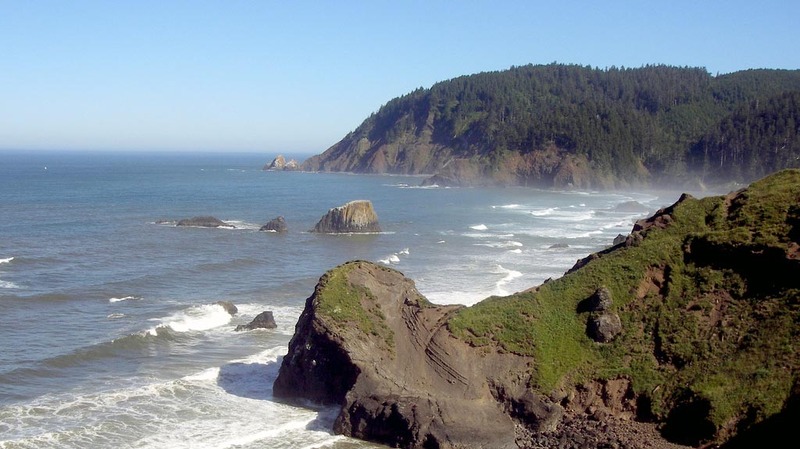 First reached by Lewis and Clark on Nov 15th, 1805, the Oregon Coast is where Goonies Never Die. Beach combing, surfing, and hiking are just a few of the adventures that await you at the Oregon Coast. Once you arrive at the Pacific Ocean, you’ll see vast expanses of sandy beaches peppered with headlands and outcrops of forest. Your guide will take you hiking in the dense, temperate rainforests of Oregon Coast’s Ecola and Oswald State Parks. Massive, mossy trees are part of this old growth forest that borders numerous secluded beach coves known only to Oregon Coast locals. The Oregon Coast offers something for everyone, from forests to sandy beaches, secluded coves to great dining, shops, art galleries, wildlife and everything in between! This destination is truly and unforgettable one, and made even better when you visit with Sea to Summit. Leave the driving to us! Not your typical beach destination, the weather on the Oregon coast can be cool any time of year, so bring a jacket or a sweater and enjoy the rugged beauty! Sea to Summit Tours & Adventures is created, owned and operated by native Portland, Oregonian’s. We operate custom equipped 4×4 vehicles that are capable of providing tours year round. Sea to Summit’s guides have the knowledge to provide you a spectacular and unforgettable tour experience while visiting Oregon and the Pacific Northwest.